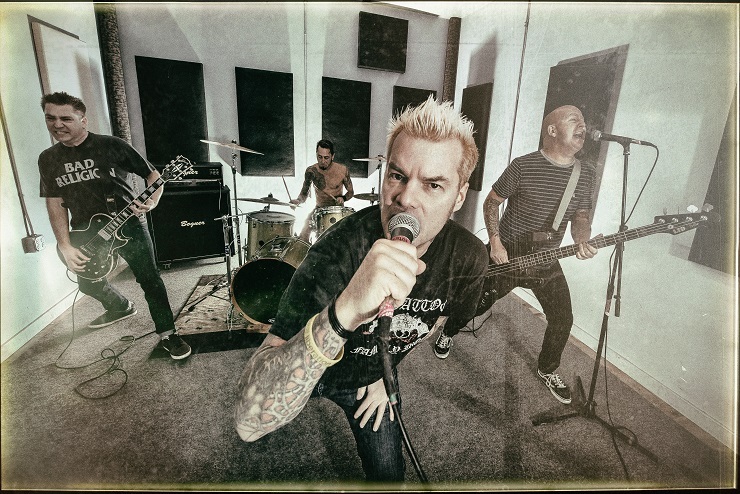 Santa Cruz punk veterans Good Riddance have revealed plans to perform songs from their recent Peace in Our Time LP on an upcoming, Canada-heavy North American tour. The long-running act's tour plans follow a handful of summer dates in Europe, as well as the big "Fat Wrecked for 25 Years" anniversary celebration in San Francisco this August. The tour itself begins September 24 in Philadelphia and finds the California quartet travelling alongside punk crew Off With Their Heads. The trek hits Canada several times, with the act crossing through Quebec and Ontario before dipping back into the states and then heading back up into the country for shows between Vancouver and Winnipeg. You'll find all of the North American details down below, while Good Riddance's global dates can be found over here. In related news, NOFX are bringing the "Fat Wrecked for 25 Years" celebration on the road ahead of the big gig in San Francisco. The trip kicks off with a show at Toronto's Echo Beach on August 6, and also features performances from Lagwagon, Swingin' Utters, Flatliners, Masked Intruder and ToyGuitar. You can see the rest of the show schedule here.